Kentucky is such a beautiful place this time of year. A late summer morning took us to a local orchard, out in the hills of Owen County. 2012 is the second year in a row we journeyed to the orchards to pick Mother Nature’s bounty and to make something of it for our bellies and pantry. I like that we are making a tradition of apple picking with my mother and my children. A little bit of adventure and we had a bushel of apples. 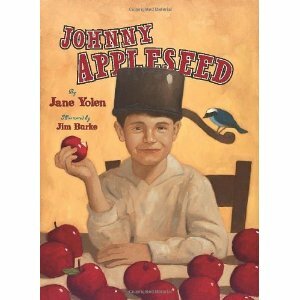 We also enjoy the book Johnny Appleseed, by Jane Yolen. Each year during the month of September we read this lovely book, and enjoy the tradition of pairing it with our orchard trip. Yolen’s book is poetic and filled with facts of Johnny’s life. 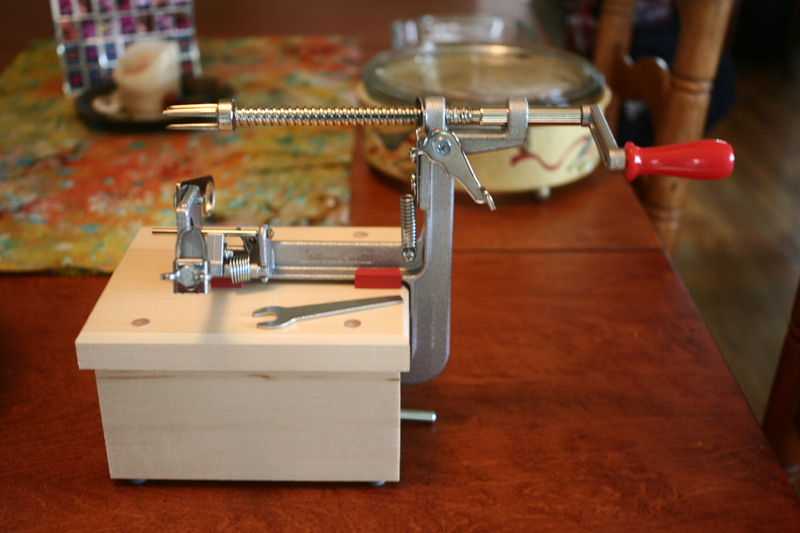 Today, almost a week later, my mother came over and we peeled apples upon apples with my new crank de-corer/peeler. It is a very nice tool, and not hard to clean up. 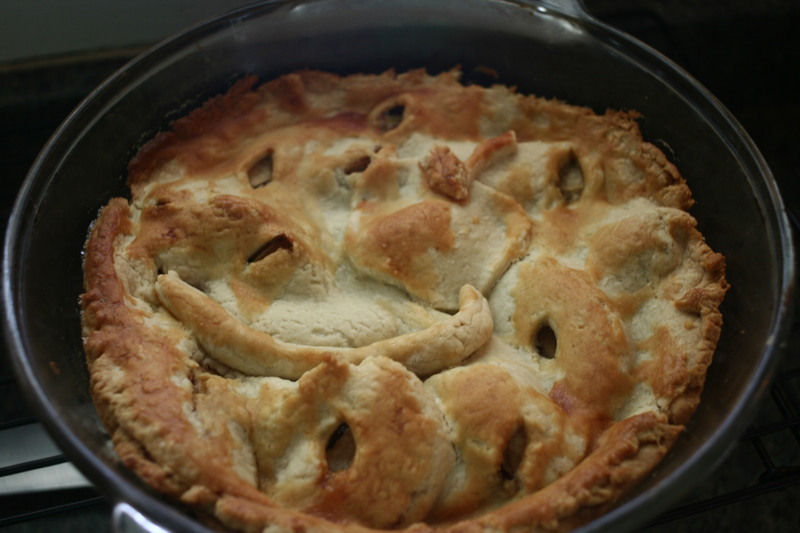 The kids enjoyed cranking the apples and being apart of making my birthday pie. Before we got the apples out I set up my ice cream maker and made some vanilla ice cream to pair with the pie at my birthday dinner. In case you are wondering where we went, click here to visit Ayer’s Orchard. The year before we really enjoyed a presentation by Larry Ayers and his wife at the Frankfort library. The boys loved tasting a variety of apples grown at the orchard and a few ways to use apples. The rest of the apples we picked are carefully stored in our cool basement. It is going be nice this winter eating local healthy apples. As they say, an apple a day, is delicious.